Andre Gomes will not play for Barcelona next season. The Portuguese midfielder went on loan at the start of current season and joined Everton on a 12-month basis, but it looks like Gomes will not be returning to Camp Nou. Everton are satisfied with his performances thus far and are ready to splash the money in order to secure him. But, according to Spanish publication Sport, Inter Milan are ready to rival Everton for the midfielder. The media outlet claim Inter are ready to get into the fight for the player’s signature, as they will need reinforcements in central midfield. However, Sport also claim Everton remain the favourites in this race. Gomes allegedly already said goodbyes to everyone at Barcelona and Everton are reportedly close to signing him in a transfer worth 25 million euros. 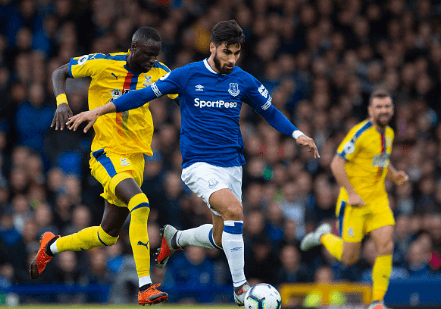 Gomes, who is currently 25, made 23 appearances for the Toffees in Premier League this season, scoring once and assisting to one goal in the process.